In the Baltic Sea, cyanobacterial community is mainly composed of filamentous nitrogen-fixing forms, including the toxic Nodularia spumigena, and single-celled picocyanobacteria (Pcy), represented by Synechococcus spp. The main aim of the work was to test the hypothesis that the picocyanobacteria dependend on the presence of the nitrogen-fixing cyanobacteria. In addition, the contamination of blue mussels and fish with nodularin (NOD), the N. spumigena toxin, was examined. In years 2008–2011, the samples for the study were collected in the Southern Baltic Proper using FerryBox system and, occasionally, during research cruises. The analyses showed no correlation between the growth of the nitrogen-fixing cyanobacteria and Synechococcus. Compared with the previously published data, a shift in the composition of Pcy phenotypes was observed. This shift might be an indication of the proceeding changes induced by the reduced nutrient loading and/or climate change. Analyses of NOD revealed differences in the cyanotoxin concentrations between mussels of different shell size. The highest concentration of NOD was detected in the liver of round goby. However, temporarily, also the fish muscles were significantly contaminated with the toxin. In the brackish waters of the Baltic Sea, the summer bloom of the filamentous cyanobacteria of the order Nostocales is a recurring phenomenon. The blooms are mainly composed of Aphanizomenon flos-aquae (L.) Ralfs ex Bornet et Flahault, the toxin-producing Nodularia spumigena Mertens ex Bornet et Flahault, and the less abundant Anabaena spp, subg. Dolichospermum species. Due to the ability to fix atmospheric nitrogen, the heterocystous microorganisms can outcompete other algae and develop high biomass even when dissolved inorganic nitrogen is depleted. In addition, gas vesicles (aerotopes) make the cyanobacteria buoyant and facilitate formation of surface accumulates, when weather is calm. To a significant extent, the summer phytoplankton community in the Baltic is also composed of picocyanobacteria (Pcy). In the sea, this group of cyanobacteria belongs mainly to the genus Synechococcus. Depending on pigment content, they are classified as red strains with phycoerythrin (PE), green strains rich in phycocyanin and lacking phycoerythrin (PC), and the phycourobilin containing cyanobacteria rich in phycoerythrin (PUB/PEB) (Haverkamp et al., 2008; Haverkamp et al., 2009). Pcy occur as solitary cells or form colonies that tend to concentrate closer to the water surface. Despite the significant contribution of these organisms to the total phytoplankton biomass, the knowledge of Pcy structure and function in the Baltic ecosystem is still limited (Ohlendieck et al., 2000; Wasmund et al., 2001; Stal et al., 2003). Mass development of cyanobacteria in the Baltic is a negative consequence of the high level of eutrophication and the disturbed balance in the ecosystem (Vahtera et al., 2007; Nausch et al., 2008). 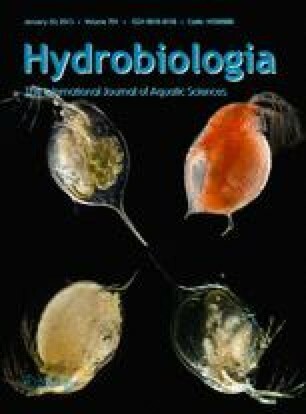 Although in the last 30 years, a reduction in nutrients loading to the sea has been achieved, the internal sources of the nutrients are still sufficient to sustain the blooms of phytoplankton organisms (Vahtera et al., 2005). Among these sources, N2 fixation by cyanobacteria and the release of phosphorous from anoxic sediments are most significant (Emeis et al., 2000; Conley et al., 2002; Tamminen & Andersen, 2007; Vahtera et al., 2007). Many research groups have studied the consequences of cyanobacterial development in the sea. The multilevel effects on the ecosystem have been emphasized (Karjalainen et al., 2007). The negative effects, among others, are attributed to the occurrence of hepatotoxin producing N. spumigena. The toxin called nodularin (NOD) accumulates in Baltic fish, mussels and waterfowl (Sipiä et al., 2001; Karlsson et al., 2005; Kankaanpää et al., 2005; Kankaanpää et al., 2007). In the past, several cases of poisoning of terrestrial and aquatic animals following contact with N. spumigena were recorded (Francis, 1878; Edler et al., 1985; Nehring, 1993). The presented work was focused on the occurrence of the single-celled Pcy represented by Synechococcus and the filamentous cyanobacteria, including the toxin-producing N. spumigena, in the Southern Baltic Proper. In this work, the less explored aspects of the issue were examined. To date, the co-occurrence of diazotrophic cyanobacteria and Pcy has only been studied in single papers and in short-term experiments. It has been postulated that the development of Pcy depends on the presence of diazotrophic cyanobacteria as an important source of nitrogen (Ohlendieck et al., 2000). The project aims to test this hypothesis by analyzing the changes in the biomass of the two groups of cyanobacteria, using the opportunity of frequent sampling created by the FerryBox experiment carried out between Gdynia and Karlskrona. As the second aim of the work, production of NOD by N. spumigena and accumulation of the toxin in fish and mussels was studied. The concentrations of NOD in mussels at two different stages of their development were compared. The concentration of NOD was also measured in two species of bottom dwelling fish, flounder and round goby, characterized by different food and habitat preferences (Karlson et al., 2007). In round goby, the accumulation of nodularin has been analyzed in this work for the first time. Water samples were collected from a depth of 2 m using a WS 316 VAR autosampler (WaterSam, Germany) installed on a ferry sailing between Gdynia (Poland) and Karlskrona (Sweden). Six sampling stations were selected as shown in Fig. 1: GK1 (54°32.00′N; 18°35.00′E), GK2 (54°38.00′N; 18°52.00′E), GK3 (54°57.00′N; 18°20.00′E), GK4 (55°15.00′N; 17°28.00′E), GK5 (55°47.00′N; 15°58.00′E), GK6 (56°01.00′N; 15°38.00′E). Sampling with the autonomous FerryBox system was performed from 7 July to 6 September 2008, from 21 April to 4 August 2009 and from 29 April to 18 August 2010. The regular sampling scheme of discrete water samples was at fortnight intervals, though during cyanobacteria development the frequency of sampling increased to two times a week. In addition, the research vessel R/V Oceanograf 2 of the Institute of Oceanography, University of Gdańsk, was used for sample collection in the Gulf of Gdańsk. At station GK2, a bathometer was used to collect samples at the depths of 0, 5, 20, and 60 m on 5 May, 2 June, 16 June, and 7 July 2009. Blue mussels (Mytilus trossulus) were collected from station SP (54°28.8′N; 18°39.0′E; 20 m depth) in 2009 (3 April, 10 June, 22 July, 6 August, and 29 October), 2010 (22 April, 5, 12, 19, and 26 July, 2, 9, 16, and 30 August and 10 December) and 2011 (24 August) (Fig. 1). The mussels were divided into two classes depending on their size: with the shell length (L) below 2 cm (L < 2 cm) and over 3 cm (L > 3 cm). Five individual mussels were analyzed in each class. In 2011, fishes were caught in coastal areas of the Gulf of Gdańsk, off Gdynia. Flounders (Platichthys flesus) were caught with a gill net (at 20–30 m depth) on 18 April (before mass development of N. spumigena) and on 29 July (after the bloom). Round gobies (Neogobius melanostomus) were collected with the fyke net (at 10 m depth) on 30 June 2011, during a bloom of the toxic cyanobacterium, and on 29 July 2011. Mussels and fish were washed thoroughly with tap water. The soft mussel tissues were removed and stored in a freezer. Livers and muscles were dissected from five flounders and seven round gobies; the samples were stored in a freezer at temperature of −20°C. The FerryBox module provided flow-through measurements of temperature, conductivity [salinity] and chlorophyll a fluorescence according to the methods described by Łysiak-Pastuszak et al. (2012). Sampling and chemical determination of the dissolved inorganic phosphate (DIP) and total oxidized nitrogen (TOxN) were carried out according to international marine chemistry guidelines (Grasshoff et al., 1999) and following the HELCOM manuals (Łysiak-Pastuszak & Krysell, 2004; HELCOM, 2006). Water samples for microscopic analysis of the filamentous cyanobacteria were preserved with Lugol’s solution (1%). The cyanobacteria were enumerated using an inverted microscope (Nikon TMS, Tokyo, Japan) according to the Utermöhl method (Edler, 1979) and HELCOM recommendations (HELCOM, 2006). The size of the counting chambers (2, 20, or 50 ml) and the sedimentation time (4, 24, or 48 h) depended on the abundance of cyanobacteria. The biovolume of the filamentous cyanobacteria was calculated using species-specific geometric formulas and standardized size classes (Olenina et al., 2006). The obtained values of biovolume were used to calculate the biomass (μg carbon l−1) of the cyanobacteria (Menden-Deuer & Lessard, 2000). Water for the analyses of the single-celled Pcy, was fixed with buffered, pre-filtered formaldehyde, to a final concentration of 1% (Malinsky-Rushansky & Berman, 1991). The samples were stored in darkness at 4°C and analyzed within 2 weeks. Depending on the period of sampling, between 5 and 15 ml of Baltic Sea water sub-samples were filtered, using low vacuum, onto 0.2-μm pore size black polycarbonate membranes, then mounted on a slide with a drop of 50% glycerol and covered with a cover slip. The Pcy were examined under a 1,000× magnification in the NIKON Eclipse (Tokyo, Japan) fluorescent microscope equipped with a 100 W halogen lamp, a color digital camera (NIKON DXM 1200F), and NIS-Elements AR 2.30 imaging software for an image analysis. The sub-samples were analyzed in triplicates and at least 30 fields or 400 Pcy cells were counted. For the analyses, two filter sets were used: a green filter CY3 (HYQ) with Ex 530–560 nm, DM 570 nm, BA 573–648 nm, which enabled using only one filter to distinguish between PE-rich and PC-rich Pcy (Jasser et al., 2010), and a blue B-2A filter with DM 510 nm, Ex 450–490 nm and BA 520 nm, visualizing well chlorophyll a. Among these Pcy, solitary cells and cells occurring in aggregates composed of several to tens of cells were identified and enumerated. NIS Elements software was used to assess Pcy cell volume and a conversion factor of 200 fg C μm−3 (Weisse, 1993) was used to calculate the Pcy biomass. From each station, 100 ml water samples for the analyses of nodularin were collected and passed through Whatman GF/C glass microfibre filter discs. Filters with cyanobacterial material were placed in 2-ml microcentrifuge tubes and 1 ml of 90% methanol in water was added. The extracts were prepared by a 10-min bath sonication (Sonorex, Bandeline, Berlin, Germany) followed by a 1-min probe sonication with an ultrasonic disrupter HD 2070 Sonopuls (Bandeline, Berlin, Germany) equipped with MS 72 probe. After centrifugation at 10,000g for 15 min, concentration of nodularin in the supernatant was measured with HPLC. Freeze-dried mussel and fish samples were ground in a mortar. The homogenized material was extracted with methanol:butanol:water (20:5:75) by a 30-min bath sonication followed by a 3-min probe sonication. 3 ml of solvent was used to extract nodularin from 100 mg d.w. of mussel or fish tissue. After centrifugation the supernatant was washed with hexane (1.5 ml) and evaporated to dryness with N2. The residue was dissolved in 1.5 ml of MilliQ water. The sample was vortexed and placed in an ultrasonic bath for 1 min. The supernatant was centrifuged and purified by solid phase extraction on Sep-Pak Vac C18 cartridges (Waters, MA, USA). The NOD fraction was eluted from the cartridge with 1.5 ml of 90% methanol and evaporated to water residue under N2. The residue was re-dissolved then in 0.5 ml of 50% methanol in MilliQ water and centrifuged. The obtained supernatant was submitted to LC-MS/MS analyses. The concentrations of nodularin in the extracts of cyanobacterial field samples were determined by HPLC analyses performed in a Waters HPLC system (Milford, MA, USA) equipped with a model 996 photodiode array detector (PDA). The absorbance at 238 nm was monitored. Separation was performed on a Waters Symmetry RP-18 column (5 μm; 150 mm × 3.9 mm) kept at temperature 20°C. Isocratic elution with the mobile phase of 100% acetonitrile: 5% acetonitrile in water (78:22), both containing 0.05% trifluoroacetic acid, was delivered at a flow rate of 1 ml min−1. The analyses of nodularin in mussels and fish were performed with Agilent 1200 (Agilent Technologies, Waldboronn, Germany) coupled online to a hybrid triple quadrupole/linear ion trap mass spectrometer (QTRAP5500, Applied Biosystems, Sciex, Concorde, ON, Canada). As a mobile phase a mixture of A (5% acetonitrile in water containing 0.1% formic acid) and B (100% acetonitrile containing 0.1% formic acid) was used. Separation was performed on a Zorbax Eclipse XDB-C18 column (4.6 × 150 mm; 5 μm) (Agilent Technologies, Santa Clara, California, USA). Phase B was held at 30% for 8 min and then it was linearly increased to 99% in the next 4 min. This composition of the mobile phase was held for 6 min and brought back to 30% B in 2 min. The column oven temperature was 35°C, the flow rate was 0.6 ml min−1 and the injection volume was 5 μL. Turbo ion spray (550°C) voltage was 5.5 kV, with the nebulizer gas pressure and curtain gas pressure set at 60 and 20 p.s.i., respectively. Quantitative analysis was conducted using multiple reaction monitoring mode (MRM). For this purpose the mass transition of m/z 825 > 135 (CE 95 eV) and 825 > 227 (CE 61 eV) were selected. Nodularin standard was purchased from Alexis Biochemicals (San Diego, CA, USA). Data acquisition and processing were accomplished using Analyst QS® 1.5.1 software. The limit of NOD quantification for spiked mussels and fish tissues was ≤1 ng g−1 d.w. Principal components analysis (PCA) was applied to examine the relationships between the changes in the biomass of the filamentous cyanobacteria, the Pcy and the abiotic variables measured during the FerryBox experiments in 2008, 2009, and 2010. The sets of data collected in subsequent years before and after the occurrence of peak biomass of diazotrophic cyanobacteria were analyzed separately. The differences in the biomass of filamentous cyanobacteria in subsequent sampling seasons were examined with the Kruskal–Wallis one-way analysis of variance by ranks (test for more than two independent samples) or the Mann–Whitney test (test for two independent samples). Spearman correlation analysis was used to test the relationship between the biomass of N. spumigena and the concentration of nodularin. The results were found statistically significant at P < 0.05. Additionally, the relationship between the size of mussels (L) and nodularin content was tested with Kolmogorow–Smirnov nonparametric test (P < 0.05). STATISTICA software version 9 (StatSoft Inc., Tulsa, OK, USA) was used. In summer months (2008–2011), the filamentous cyanobacteria, N. spumigena, Aph. flos-aquae, Dolichospermum lemmermannnii (Ricter) Wacklin, Hoffmann et Komárek, D. flos-aquae (Brébisson ex Bornet et Flahault) Wacklin, Hoffmann et Komárek, Anabaena inaequalis (Kützing) Bornet et Flahault and A. cylindrica (Lemmermann) were present in the surface waters of the Southern Baltic Proper. A. inaequalis was most abundant in samples collected closer to the Swedish coast, while A. cylindrica was occasionally observed in the Polish coastal waters. The occurrence of the filamentous cyanobacterium Pseudanabaena limnetica (Lemmermann) Komárek was also noticed. The single-celled Pcy, Synechococcus spp., were represented by both phycoerythrin and phycocyanin rich phenotypes, with the former constituting from 58 up to 100% of the group. The Synechococcus spp. cells had coccoid to slightly oval shape. Based on the cell width, three size classes of Pcy were distinguished: small-cell class (a ≤ 0.70 μm), medium size class (b ≤ 0.71–1.00 μm) and the largest size class (c > 1 μm). The smallest cells clearly dominated with a share of over 60% in samples collected in 2008 and 2009 (Table 1). In this work, only the biomass of the single-celled Pcy composed mainly of Synechococcus was determined. However, in the summer cyanobacterial community, the colonial forms of Pcy, with cell size smaller than 2 μm were also observed. Based on morphological characteristics of the cells and colonial forms (Komárek & Anagnostidis, 1999) they were identified in inverted microscope as Aphanothece parallelliformis Cronberg, Aphanocapsa delicatissima W. West et G. S. West, Aphanocapsa incerta (Lemmermann) Cronberg et Komárek, Cyanodictyon planctonicum Meyer, Cyanodictyon imperfectum Cronberg et Weibull and Merismopedia tenuissima Lemmermann. Cyanobacterial colonies with cells bigger than 2 μm were classified to Chroococcales (Merismopedia punctata Meyen, Snowella septentrionalis Komárek et Hindák, Snowella lacustris (Chodat) Komárek et Hindák, Woronichinia sp.) In the determination of cyanobacterial genera and species, the publications by Komárek (1993), Komárek & Anagostidis (1999), Komárek & Komárkova (2006), Komárek & Zapomĕlova (2007) were used. In 2008, the peak bloom of N. spumigena and Aph. flos-aquae was recorded on 14 July (Fig. 2a). The average biomasses of the two filamentous cyanobacteria in the upper layers of the water column at the six sampling stations GK1–GK6 were 146.3 ± 72.6 and 71.0 ± 58.1 μg C l−1, with the maximal values measured at GK1 (373.3 μg C l−1) and GK2 (353.3 μg C l−1) (Fig. 3a). During the most intense development of cyanobacteria, N. spumigena clearly dominated. After the peak, a steady decrease in the cyanobacterial biomass through the middle of August 2008 was observed; after 19 August it did not exceed 1.0 μg C l−1. With the decay of cyanobacteria, the concentrations of the DIP and TOxN started to increase, and on 25 August reached 0.42 and 0.05 μmol l−1, respectively (Fig. 2a). Higher values of chlorophyll a concentration (Chl a) to 4 μg C l−1 measured on that day were due to the increased abundance of the dinoflagellate Prorocentrum minimum (Pavillard) Schiller. During the whole sampling season, the temperature was within the range of 17–20°C (Fig. 2b). In 2008, the peak biomass of Synechococcus spp., with the highest values at stations GK3 (109.9 μg C l−1) and GK4 (178.7 μg C l−1), was recorded on 7 July (Fig. 3b), a week before the most intense development of the filamentous cyanobacteria occurred. From 7 July to 19 August 2008, the average Synechococcus biomass at the stations GK1–GK6 decreased from 81.1 ± 63.1 to 4.1 ± 1.1 μg C l−1 (Fig. 2a). Most of the cell counts of Synechococcus spp. in surface waters were in the order of 108 cell l−1, but values as high as 1.7 × 109 cell l−1 were also recorded (station GK3, 7 July 2008). According to PCA, the decrease in the biomass of Pcy correlated well with the changes in the biomass of the filamentous cyanobacteria (Fig. 2c). For all cyanobacteria, these changes were negatively correlated with nutrient concentrations; they were also independent of temperature. In 2009, due to the earlier start of the sampling season, it was possible to observe the initiation and development of the cyanobacterial bloom in the Southern Baltic Proper. Aph. flos-aquae was detected in the surface water samples as early as in March (0.8 μg C l−1), together with dinoflagellates (Peridiniella catenata (Levander) Balech, Heterocapsa triquetra (Ehrenberg) F. Stein and Gymnodinium sp. ), diatoms and single cells of green algae (Fig. 4a). The presence of N. spumigena was detected for the first time on 21 May, when the total biomass of the two filamentous cyanobacteria at stations GK1–GK6 was 27.7 ± 14.2 μg C l−1, on average. A temporal drop in the biomass of the filamentous cyanobacteria (1.9 μg C l−1) and nearly complete disappearance of N. spumigena on 16 June was accompanied by the decline in DIP down to 0.13 μmol l−1. Then, the growth of the filamentous cyanobacteria intensified again, and on 2 July they reached the peak biomass of 65.8 μg C l−1, with N. spumigena comprising 54% of the cyanobacterial community (Fig. 4a). On 4 August, despite high water temperature (19°C) and the slight increase in DIP and TOxN to 0.29 and 0.33 μmol l−1, respectively, the total biomass of the filamentous cyanobacteria dropped again. The average values of the biomass at the six sampling stations GK1–GK6 changed from 6.5 ± 0.1 μg C l−1 on 6 July to 0.3 ± 0.1 μg C l−1 on 4 August. This year, Dolichospermum spp. was observed sporadically and in low amounts, reaching its maximal biomass of only 0.02 μg C l−1 on 21 July. Similarly to the filamentous cyanobacteria, the number and biomass of Pcy was lower in 2009 than in 2008 (Figs. 2a, 4a). Since 5 May, when water temperature rose above 7°C (Fig. 4b), the biomass of Synechococcus spp. started to rise visibly, and reached the seasonal maximum of 41.3 μg C l−1 on 2 June. The Pcy biomass remained high till the beginning of July and then it gradually fell to 9.5 μg C l−1 on 4 August (Fig. 4a). The filamentous cyanobacteria represented a patchy and dynamic distribution, while the spatial and temporal changes in the biomass of Synechococcus spp. were rather gradual (Fig. 5a, b). For example, on 2 July 2009, the total biomass of the filamentous cyanobacteria at station GK6 was 228.5 μg C l−1, while at station GK2, it was 1.5 μg C l−1. On the same day, the difference in Pcy biomass between the same sampling stations was only 0.2 μg C l−1. The results of PCA showed no correlation between the growth of Synechococcus during the building up of its biomass and the growth of the diazotrophic cyanobacteria. The growth of Pcy depended on nutrients, especially nitrites, and on temperature (Fig. 4c). As in the previous year, the correlation between the changes in the biomass of the filamentous cyanobacteria, and Pcy was observed in the period following the peak of filamentous cyanobacteria development (Fig. 4d). In addition, in this period, the biomass of both groups of cyanobacteria appeared to be negatively correlated with DIP and water temperature. In 2009, in surface water of the Southern Baltic Proper, the PE phenotype constituted from about 60–100% of Synechococcus biomass, with the mean seasonal contribution of 85% (Fig. 6). When all stations were considered the highest share of the PC phenotype (23–26%) was recorded in May during the building up of the Pcy biomass. A rise in the biomass of the aggregated Pcy cells up to 23% of the total Pcy counts was also observed. The aggregates were composed of several to tens of cells, typical in size and shape of Synechococcus cells. They were most abundant during and just after the peak of N. spumigena in July. In samples collected at station GK2 on 5 May, 2 and 16 June, and 7 July 2009, from 67 to 94% of the picocyanobacterial biomass was confined to surface layers (0–5 m) (Fig. 7a–d). Beneath those layers, from the depth of 20 m down to the sea floor, the biomass of Pcy was usually lower than 4.1 μg C l−1. In the whole water column, the PE phenotype dominated and made up over 88% of the single-celled Pcy community, on average. However, the contribution of the PC phenotype was higher in surface water where it reached the maximum of 42.2%. The filamentous cyanobacteria were also mainly confined to the upper layers (0–5 m) of the water column (Fig. 7). An exceptional situation was recorded on 16 June 2009. On that day, Aph. flos-aquae and N. spumigena were most abundant in the deepest layer of the water column (60 m), where they reached a biomass of 12.3 and 1.4 μg C l−1, respectively. This vertical distribution of cyanobacteria was attributed to rough weather conditions that preceded the sampling (a strong NW wind; 6°B and 7–8°B in gales). In 2010, only the changes in the biomass of the filamentous cyanobacteria were examined. In surface water collected by the FerryBox system, the cyanobacteria were recorded for the first time on 29 April and were mainly composed of Aph. flos-aquae (0.2 ± 0.1 μg C l−1). Until 8 June, the biomass of the filamentous cyanobacteria was low and ranged from 0.1 ± 0.1 μg C l−1 on 25 May to 1.14 ± 1.5 μg C l−1 on 1 June (Fig. 8a). After a slight increase in cyanobacterial biomass in June, a further increase up to 21.5 ± 10.1 μg C l−1 was recorded on 7 July. From then on, the biomass of the filamentous cyanobacteria dropped gradually, and on 18 August it was only 0.02 ± 0.02 μg C l−1. Aph. flos-aquae dominated in most of the samples. The highest contribution of Dolichospermum spp. (0.2 μg C l−1; 24%) to the cyanobacterial community was noted on 12 July (Fig. 8a). Considering individual stations, the contribution of Dolichospermum spp. tended to be higher at GK5 and GK6. There, on 12 July, it reached 26 and 78%, respectively. The changes in nutrient concentrations were irregular, probably due to floodwater discharges (Fig. 8a). During the whole sampling season of 2010, a slow but steady rise in temperature from 10 to 19°C was noted (Fig. 8b). In 2010, the changes in the biomass of N. spumigena and Aph. flos-aquae were also correlated (Fig. 8c, d). Until 7 July, the development of the filamentous cyanobacteria appeared to be temperature dependent, but after that the correlation with temperature was negative. During the whole sampling campaign no correlation between cyanobacterial biomass and nutrients concentrations was observed. In samples collected in July, in subsequent years of the study, the decrease in the average biomass of the diazotrophic cyanobacteria (from 107.3 μg C l−1 in 2008 to 9.2 μg C l−1 in 2010) and the Pcy (from 54.5 μg C l−1 in 2008 to 27.2 μg C l−1 in 2009) was observed. Statistical analyses (Kruskal–Wallis test and Mann–Whitney test) confirmed the significance of these changes. The null hypothesis assuming the identical biomass of the cyanobacteria in the subsequent years of the FerryBox sampling was rejected at P < 0.05 for N. spumigena, P ≤ 0.0001 for Aph. flos-aquae, and P = 0.022 for Synechococcus spp. In 2011, phytoplankton samples were collected only occasionally, during cruises in coastal waters of the Gulf of Gdańsk. In this area, the bloom of the filamentous cyanobacteria was more intensive than in the years 2008–2010. On 30 June, in coastal waters of the Gulf of Gdańsk, a sudden rise in the biomass of N. spumigena, Aph. flos-aquae, and Dolichospermum spp. up to 189,204, 11,473, and 764.00 μg C l−1 was recorded. Single filaments of N. spumigena and Aph. flos-aquae were still observed in November and December, when water temperature was below 10°C. The measurements conducted in the four sampling seasons revealed a good correlation (R 2 = 0.895, P < 0.05) between N. spumigena biomass and NOD concentration in the seston of the Southern Baltic Proper. From 7 July to 13 August 2008, the toxin was detected in 70% of phytoplankton samples with the highest concentration of 1.7 ± 1.5 μg l−1 measured on 14 July. In 2009, nodularin was present only in samples collected by the FerryBox system. On 2 July, the concentration of the toxin ranged from 0.3 μg l−1 at station GK3 to 2.2 μg l−1 at station GK6. However, in the samples collected in the coastal waters of the Gulf of Gdańsk on 29 June, as much as 42,300 μg NOD l−1 was measured. In 2010, the concentrations of NOD in the seston were lower than in previous years. Trace amounts of the toxin (0.1–0.2 μg l−1) were detected in seawater samples collected on 8 June (GK2) and 22 June (GK2 and GK5). In 2011, the study was carried out only in the coastal waters of the Gulf of Gdańsk. That year, N. spumigena was most abundant in the study period and also the toxin concentrations in coastal waters of the gulf were high and reached 1,236 μg NOD l−1. In April 2009, when only single N. spumigena filaments were found in the surface water, the concentrations of NOD in blue mussels were generally low (Table 2). The concentrations increased with the N. spumigena bloom development up to the maximum values of 359.6 ng NOD g−1 recorded on 22 July. Then, a slow drop in NOD concentration was observed, however, in October, it was still relatively high. In 2010, the mussels from the Gulf of Gdańsk accumulated lower amounts of the toxin; with concentrations varied within the range of 3.5–58.8 ng NOD g−1. More nodularin was accumulated in blue mussels collected in the Gulf of Gdańsk on 24 August 2011 (Table 2). Then, in the soft tissue of individual organism, the concentration of the toxin reached up to 1,582.6 ng NOD g−1 (L < 2 cm). The 3-year studies indicated that the smaller mussels accumulated higher amounts of NOD than the bigger organisms. This observation was statistically significant in a Kolmogorow–Smirnov nonparametric test (P < 0.05). In 2011, additionally, fish tissues were analyzed. NOD accumulation in the muscles of round goby caught during the most intensive N. spumigena bloom (30 June), was higher than in the liver and in the individual fish reached 425.1 ng NOD g−1. A month later, on 29 July, it was the liver of round goby that showed the highest concentrations of the toxin (Table 2). In the liver of individual round goby up to 3,574.3 ng NOD g−1 was determined. In flounder caught on the same day (29 July), the toxin concentrations were also elevated but both in liver and muscles they were lower than in round goby (Table 2). Due to significant temporal and spatial variations in the distribution of filamentous cyanobacteria in the Baltic Sea, high-resolution measurements with the application of remote sensing methods or FerryBox systems are required to determine their dynamics (Fleming & Kaitala, 2006; Lessin et al., 2009; Kratzer et al., 2010). The fluctuations in cyanobacterial structure and abundance are regulated by the concentration of nutrients, thermal stratification of water masses, weather-induced water mixing or upwelling events (Laamanen & Kuosa, 2005; Vahtera et al., 2005; Laanemets et al., 2006; Vahtera et al., 2007; Nausch et al., 2008; Mohlin et al., 2011). In our studies, the heterogenic character of cyanobacterial occurrence in the Southern Baltic Proper was documented. At individual sampling stations between Gdynia and Karlskrona, the differences in the biomass of diazotrophic cyanobacteria were even two orders of magnitude. In addition, in subsequent years (2008–2010), we observed a significant decrease in the biomass of diazotrophic cyanobacteria measured in samples collected in July, during their peak development. This change in biomass was opposite to the long-term changes revealed by Suikkanen et al. (2007) in years 1979–2003. The picocyanobacterial cells were more homogenously distributed and also the variations between the two sampling seasons were lower when compared to diazotrophic cyanobacteria. The cell counts of Synechococcus spp. were of the same order as the values reported by other authors (Kuosa, 1991; Albertano et al., 1997; Hajdu et al., 2007; Haverkamp et al., 2008). According to the data published by Hansson & Hakansson (2007), in the years 2000–2007, the first surface accumulates of filamentous cyanobacteria were usually observed in the Baltic in early July. Also Lips & Lips (2008) reported a maximum N. spumigena biomass between weeks 27 and 30 in the years 1997–2005. Sampling conducted within the presented study in 2009, revealed two peaks in diazotrophic cyanobacteria development: in the second half of May when water temperature was still below 10°C, and in the first half of July (weeks 27–28). A similar bimodal pattern of cyanobacteria development was reported by Hense & Burchard (2010). The authors constructed an ecological model in which different stages of the diazotrophic cyanobacteria life cycle were taken into account. In the model, a good agreement with field observations was achieved. It was hypothesized that the small maximum in biomass recorded in April was caused by the seed population of cyanobacterial cells recruiting from sediments (Hense & Burchard, 2010; Suikkanen et al., 2010). Germination of akinets and further development of diazotrophic cyanbobacteria is thought to be dependent on nutrient availability, light intensity and increase in water temperature. In our studies, the positive correlation between the changes in surface water temperature and the biomass of the two filamentous cyanobacteria, N. spumigena and Aph. flos-aquae was observed only in 2010 (Fig. 8c). Generally, surface accumulates of cyanobacteria are formed in stratified waters, under calm weather conditions (Raateojaa et al., 2010). In summer 2009, the process of surface bloom formation triggered by a rise in water temperature was probably inhibited by strong wind and water mixing. Under such conditions the diazotrophic cyanobacteria as well as Pcy are moved deeper down into the water column. As it was shown in Fig. 7, after intensive water mixing, both groups of cyanobacteria can be found even at a depth of 60 m. However, the losses of Pcy in surface waters during mixing events can be compensated by a high rate of cell division, especially when a new pool of nutrients is brought to upper layers of the water column (Stal et al., 2003). In these layers, the contribution of the single-celled Pcy to the cyanobacterial biomass was usually high and ranged from 20% in the beginning of July to 97% in late July and August. Generally, the process of cyanobacteria development in the Baltic Sea can be divided into two stages. In the first stage, which usually lasts until mid July, actively growing N. spumigena and Aph. flos-aquae show a high rate of N2 fixation (Ohlendieck et al., 2000). It was estimated that in this phase, 5–10% of the fixed nitrogen is transferred from diazotrophic cyanobacteria to Pcy. Then, the decaying filamentous cyanobacteria, with the attached microorganisms, tend to form aggregates and fix considerably lower amounts of N2. Ohlendieck et al. (2000) revealed that at this stage of cyanobacterial development no transfer of nitrogen from diazotrophic cyanobacteria to Pcy occurred. However, in August, the biomass of Pcy significantly increased, probably due to the uptake of nitrogen compounds released from the decaying cells of N. spumigena and Aph. flos-aquae (Ohlendieck et al., 2000). In contrast, Albertano et al. (1997) recorded a decrease in Pcy biomass in August, attributed to the increasing zooplankton activity. The data collected in the southern part of the Baltic Proper during FerryBox experiments showed a simultaneous decrease in the biomass of both groups of cyanobacteria from mid July. The correlation in the changes of their biomass in the second phase of cyanobacteria development was confirmed by PCA studies. Surprisingly, according to PCA, such correlation did not occur during active growth of diazotrophic cyanobacteria, when N2 fixation by N. spumigena and Aph. flos-aquae was thought to be the highest. It can be assumed that the available nitrogen resources dissolved in water were sufficient to sustain the growth of Pcy so that they were independent of nitrogen fixed by the diazotrophic cyanobacteria. With their small size and high surface to volume ratio, Pcy are more competitive and can effectively take up nutrients in a nutrient deficient (but not nutrient depleted) environment (Wehr, 1989; Raven, 1998). Aside from the significant effects of water temperature and other physical and chemical factors, this sort of competition might also regulate the development of cyanobacteria in the Baltic Sea. Stal et al. (2003) postulated that Pcy might keep filamentous cyanobacteria in check by exhausting nutrients. That the maximum abundance of diazotrophic cyanobacteria was reached no sooner than during the decline of picocyanobacterial biomass, seems to support this hypothesis. According to Haverkamp et al. (2008), in the surface waters of the Gulf of Finland, the PE and PC phenotypes of Synechococcus spp. were equally abundant. In deeper layers of the water column, the contribution of the PE phenotype, better adapted to low irradiance, was higher. The increasing contribution of the PE phenotype with water depth was also observed in our study. However, unlike in the Gulf of Finland, the PE phenotype clearly dominated in the Southern Baltic Proper. This fact can be explained by different physical and chemical conditions prevailing in the two areas of study. The PE phenotype usually dominates in clear and low productive waters and at elevated salt concentrations (Herdman et al., 2001; Stomp et al., 2007; Haverkamp et al., 2008). The other discrepancy between the published data on the Baltic Pcy and our results was in the cell size of these microorganisms. In the Baltic, the medium size fraction was reported to be the most abundant (Albertano et al., 1997; Stal et al., 2003; Haverkamp et al., 2009). However, in this study, the majority of the Pcy in samples collected at stations GK1–GK6 belonged to the smallest size fraction and the larger cells were less numerous. This shift in mean cell size of Synechococcus spp., as well as the increase in the contribution of the PE phenotype in the total Pcy community described above, may be early indicators of the changing conditions in the Baltic Sea. The structure of Pcy in the Baltic can be modified by the direct and indirect effects of climate change (HELCOM, 2007; O’Neil et al., 2012) or by the reduction in nutrients loading to the ecosystem (HELCOM PLC-5, 2011). The role of Pcy as sensitive indicators of global climate change or changes in nutrient regime has already been proposed (Weisse, 1993; Shallenberg & Burns, 2001; Morán et al., 2010). The occurrence of toxin-producing N. spumigena is the subject of many ecotoxicological studies conducted in the Baltic Sea. The concentration of NOD in seston is usually well correlated with the biomass of the cyanobacterium (this study: R 2 = 0.895, P < 0.05; Henriksen (2005): R 2 = 0.939). In this study, the biomass of N. spumigena at stations between Gdynia and Karlskrona was low, and the concentrations of NOD measured in seston were also low (<4 μg l−1). Only in coastal waters did they temporarily reach extremely high values of over 1,000 μg NOD l−1. According to Kankaanpää et al. (2009), NOD concentrations in the surface waters of the northern Baltic in 2006–2007 ranged from 74 to 2,450 μg l−1. Henriksen (2005) reported up to 565 μg NOD l−1 in samples from the Danish Straits. In 2004 and 2005, the maximal concentrations of NOD in the Polish coastal waters were 25,852 ± 107 and 3,964 ± 125 μg l−1, respectively (Mazur-Marzec et al., 2006). Blue mussels were shown to be good indicators of environmental exposure to the toxin. The lowest NOD content in the mussels measured in 2010 corresponded to the lowest biomass of N. spumigena. On the other hand, high N. spumigena biomass and high NOD concentrations in seston of the coastal waters of the Gulf of Gdańsk in 2009 and 2011 were reflected in higher NOD content in blue mussels collected in the same area. Generally, the NOD content in the soft tissue of the blue mussels was within the range of the values reported from the Baltic Sea in other studies (from 20 to 2,150 ng NOD g−1) (e.g., Sipiä et al., 2001; Karlsson et al., 2003; Mazur-Marzec et al., 2007). We found that smaller mussels tend to accumulate higher amounts of NOD. This result was statistically significant, but based on the analyses of only five individual mussels in each class per sample collected on a given day. As significant differences in NOD content between individual mussels belonging to one class were observed, more studies are required to confirm the importance of the finding. At this stage of our knowledge, the higher accumulation of NOD by smaller mussels can be explained by less effective filtration due to undeveloped gill structure in the juvenile forms (Cannuel et al., 2009). Nodularin accumulation in fish was measured only in 2011, when the most intensive N. spumigena bloom was observed in coastal waters of the Gulf of Gdańsk. In flounder, caught before the peak of the toxic bloom, NOD content in the liver was over 30 times higher than in muscles. This finding is in agreement with earlier reports, e.g., by Sipiä et al. (2001, 2006), Karlsson et al. (2003), and Kankaanpää et al. (2005). The authors measured NOD content in flounder liver within the range of 20 to 2,230 ng g−1, and much lower in muscles (less than 200 ng g−1). Unexpectedly, at the peak of the N. spumigena bloom in 2011, the opposite situation was observed in round goby. Based on the analyses of seven individual fish, over 10 times higher content of the toxin was detected in muscles than in the liver. The same observation was done in laboratory experiments. In the first 2 days of exposure to N. spumigena cells, NOD content in muscles of the goby was high. After the next 24 h, the content of NOD in liver increased to values higher than in the muscles (data not published). It is presumed, that at the beginning of the exposure to high concentration of NOD, the activity of the enzymes taking part in the detoxification of xenobiotics is just increasing and the liver is not ready to metabolize the whole pool of the toxin that reaches the organ. As in the muscles, the activity of the enzymes is generally low (if any), it can be presumed that NOD transported from the liver to muscles temporarily accumulates there to high concentration. The measurements of NOD in fish additionally indicated higher content of the toxin in goby than in flounder. The observed difference probably results from the food and habitat preferences of the two organisms. The round gobies prefer more shallow waters and blue mussels constitute their primary food component (Sapota, 2004; Karlson et al., 2007). The flounders migrate between the coast and off-shore waters and Macoma baltica constitute a more important element of their diet. The analyses of NOD accumulation in the Baltic fish and mussels confirmed significant differences in NOD content between individual organisms belonging to the same species (Kankaanpää et al., 2005, Sipiä et al., 2006). In the case of some individual fish, a risk can be posed of exceeding the recommended tolerable daily intake level (TDI) of 0.4 μg kg−2 body weight per day. This provisional value was determined for microcystin-LR, the cyanotoxin of similar structure and biological activity to NOD (WHO, 1998). During the 3-year FerryBox sampling campaign (2008–2010) in the Southern Baltic Proper, a decline in the average cyanobacterial biomass was noted. The changes in biomass of the two filamentous cyanobacteria, Aph. flos-aquae and N. spumigena, were correlated. However, no correlation was found between the growth of Synechococcus and the diazotrophic cyanobacteria. In the picocyanobacterial community, the phycoerythrin-containing phenotype and cells belonging to the smallest size fraction dominated. The shift towards such a structure of Pcy might be considered as an indication of the changes in the environmental conditions (climate change and/or nutrient regime) of the Baltic Sea. The abundance of N. spumigena was correlated with the concentration of the toxic nodularin in seston, mussels, and fish. The juvenile forms of mussels with less developed gill structure accumulated higher amounts of NOD than bigger, older mussels. The content of NOD in fish depended on the species. Round goby, which lives in shallow water and prefers mussels as main food component, contained higher amount of the toxin than flounder. The expecting improvement in the trophic status of the Baltic Sea should result in a lower threat related to the toxic cyanobacteria bloom. On the other hand, climate change and increases in water temperature might create favorable conditions for diazotrophic cyanobacteria development. Further long-term studies are required to determine the response of the cyanobacterial community to the changes proceeding in the Baltic Sea environment. This research work was financed by the Ministry of Science and Higher Education in Poland (project numbers 2651/P01/2008/34, 14-0004-04/2008 and 3083/B/PO1/2008/35) and the National Centre for Research and Development in Poland (Project number 3896/B/P01/2010/38). The authors gratefully thank Anna Krakowiak (IO UG), Natalia Drgas and Łukasz Lewandowski (IMWM) for their excellent and professional technical assistance. The authors would like to express their acknowledgement also to Stena Line for their proficient help in the installation and operating of the Ferry Box system. The anonymous reviewer is acknowledged for his constructive comments on the manuscript. HELCOM, 2006. Manual for Marine Monitoring in the COMBINE Programme of HELCOM [available on internet at http://www.helcom.fi/groups/monas/CombineManual/en_GB/main/]. HELCOM, 2007. Climate change in the Baltic Sea area—HELCOM thematic assessment in 2007. In Baltic Sea Environment Proceedings No. 111 [available on internet at http://www.helcom.fi/stc/files/Publications/Proceedings/bsep111.pdf]. HELCOM, 2011. The fifth Baltic Sea pollution load compilation (PLC-5). In Baltic Sea Environment Proceedings No. 128 [available on internet at http://www.helcom.fi/stc/files/Publications/Proceedings/BSEP128.pdf]. Mohlin, M., M. Y. Roleda, B. Pattanaik, S.-J. Tenne & A. Wulff, 2011. Interspecific resource competition—combined effects of radiation and nutrient limitation on two diazotrophic filamentous cyanobacteria. Microbial Ecology. doi: 10.1007/s00248-011-9964-y.